Impress family, friends and YOU for the upcoming holidays. Schedule today interior house painting work in Omaha, Council Bluffs, and Bellevue metro. There is no better time than now to get ‘ur done as we enter the winter months in Nebraska. As the sunlight wanes, simple changes to the inside of our homes can make our moods brighter while boosting your home’s appeal and perhaps its value. Consider the transformation. Scuffed up, nail-pocked walls look bad, but great news, worn walls can be repaired and repainted! Unsightly chipped baseboards can be revitalized with sanding and fresh coats of color. Not only will your home appear better to guests and your family, sprucing up old tired walls is smart investment-wise. So get moving. Contact Wyman Painting in Omaha today for residential home painting, baseboard sanding and replacement. While you await a free estimate, pick your colors! Oh the fun tools we can use nowadays! Instead of buying a small can of paint, simply upload your photo of a well-lighted room you want repainted. Sherwin-Williams, our preferred painting supplier, offers a digital tool, we recommend you try. Here is where to go to use the Sherwin-Williams Color Snap Visualizer for your desktop. For your smart phone, you would need to download the app. Android and iphone. It’s free. Pick and choose different shades to see what looks best with your decor. Choose your match, and let Wyman Painting know. Before you make a decision, keep some timely pocketbook info in mind. This year’s favorite colors for wall paint are blue, black and dark grey, plus vibrant hues, according to a recent survey. During a June 2017 broadcast, CBS News cited a separate survey by an online real estate database company that analyzed 32,000 photos from sold homes across the USA. Zillow suggests that certain hues bring more bang for the buck compared to all white interiors/exteriors. Specifically, a dash of blue in your dining room, bedroom and bathroom may bump up the average sales price of your home. Interior house Painting Omaha Pro! Whatever color you choose, Wyman Painting is here to help make the process easy. Contact Chris Wyman now for interior house painting work in the Omaha, Council Bluffs, and Bellevue metro. Since the mid-80s, Chris Wyman has climbed many ladders and honed his craft to become great – one of the best painters in Nebraska. Together with his son Brandon, the team arrives with a smile. You’ll surely grin at their workmanship. Boost your spirits. Show off the new look to family and friends. Protect your investment. 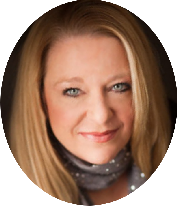 Attract home buyers and get more for your dollar. Whatever the reason, it’s smart to update. (Wyman Painting – OMAHA, Nebraska) — When thinking about what colors to paint the interior of your Omaha home before the family visits for Thanksgiving, consider blue! The majority of Americans, 62 percent, consider blue their favorite color, according to a 2017 online Harris Poll survey commissioned by Sherman Williams, Wyman Painting of Omaha’s preferred paint brand. “In the case of blue, it’s often subconsciously linked to trust, dependability, and competence and can also be associated with rest and provide a cooling sensation – making it a great choice for a bedroom or office,” said Dr. Augustin. Black bold paint is the second favorite color (32 percent), capable of turning contractor-white doors into wow. Choose semi or high-gloss in areas with a lot of natural light. Matte black hues give off an earthy air. Black on moldings and trim work wonderfully, too. Red packs potential, and survey respondents chose red as their third favorite color (31 percent). Red evokes celebration, energy, and love. Most Americans (58 percent) surveyed prefer a mix of vibrant colors sprinkled throughout the home, rather than neutrals. The report also analyzed geo-tagged social media data of over 12,000 Americans to understand people’s behaviors, attitudes and consumer decisions. The findings are interesting. Omaha painting contractors Wyman father and son will help you choose the right color for the rooms of your home! There’s no better time than now to paint the bedroom and bathroom, too. Schedule a free estimate today, before the holidays. In business for 25+ years, Wyman Painting specializes in Residential interior painting in Omaha, Bellevue, Papillion, La Vista, Gretna and Elkhorn, Nebraska in both Douglas and Sarpy Counties. Our painting company also serves Council Bluffs, Crescent and nearby homes in Pottawattamie County, Iowa. Request an estimate. Send an online note. 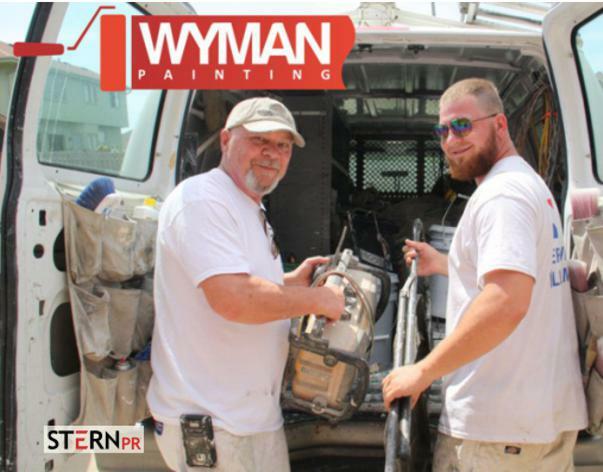 Wyman Painting – Father and son team. We arrive with a smile. You’ll grin at our workmanship. Father and Son Team – Focused. Thorough. Friendly. (Omaha, NEBRASKA) — Got a bright idea? Call Wyman Painting Omaha. Father and Son team! Call now 402-319-3956. Serving Omaha Metro Since 1985. Residential and Commercial painting services in the Omaha, Bellevue, Council Bluffs metro areas. Ready to put your home on the market? Wonder if your living room and bedrooms are outdated during your grey paint job in 2015. No worries. Grey remains cool and the top choice in 2017. (Omaha, Nebraska) — Wyman Painting, and Omaha residential/commercial painting company, in business since 1989, wishes you a Happy New Year 2017. With the new year, often comes a list of resolutions and wish lists to maintain the look and value of your home and business property. We here at Wyman Painting handle residential/commercial painting services, light drywall repairs, and power washing/staining of decks, fences and siding. Give us a call 402-319-3956. We are very affordable Omaha painters, a father and son team. We are prompt for each job we take on, and handle each painting project with care & precision, earning an A+ BBB rating. That’s assurance we will do an extraordinary great job. Meet Our Crew. Son Brandon and Dad Chris Wyman! Winter Exterior Painting – No | Interior Painting – A Go! It’s a fact. Omaha, Nebraska winters get too cold outdoors for exterior painting services, no doubt. Temperatures dip well below the point where paint would adhere to surfaces outside. Bottom line, schedule exterior painting of your home in the spring, summer or fall. Indoors, however, is another story. Winter-time is often a homeowner’s preferred period to spruce up interior living spaces with a fresh coat of paint. We here at Wyman Painting, your Omaha residential painting pro, is here to help make your home look great from the inside and out. Since 1989, we have specialized in perfecting our painting skills to the point where we’ve earned an A+ BBB! Get to Know Our Father and Son Crew! If your home was built before 1978, it’s highly likely toxic lead-based paint was used on the walls and ceiling. You’ll have to hire an EPA-certified lead abatement painter.